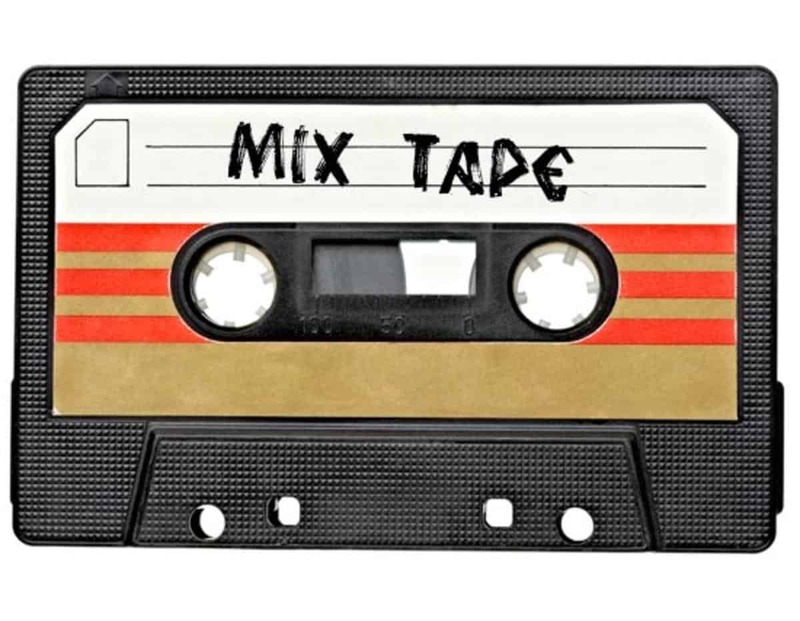 Until today I thought that the cassette tape, while cute and ~aesthetic~, was 100% unnecessary, the Latin of music-listening technology. The general population listens to music digitally, intense music fans dig vinyl, and CDs still come in handy when you’re driving a pre-audio-jack automobile. However, Sony just announced a new product that will kick the old medium back to life. -the equivalent of 3700 blu-rays, 64,750,000 songs, or 18.5 times the entire Library of Congress. The Consequence of Sound article linked above also explains the mechanism by which the new tape is able to carry so much data, but I don’t really understand it so if you’re technically-minded, feel free to learn more after that jump. Sony says that this tape is meant more for high volumes of industrial level data storage, rather than simply listening to music. Makes sense – imagine having to fast forward through this thing to your favorite song among 135,000 days of music… yikes! But I do think it’s cool that Sony were able to reimagine such a nostalgic medium for a new purpose, in an invention that will probably make tapes necessary again, at least for a little while. Plus, it’d be really cool if the world’s major corporations stored their valuable data on a copy of C86. That’s how it works, right? We’ve covered a few NPR All Things Considered music interviews in the past: eco-experimental classical composer John Luther Adams and indie rock producer du jour John Congleton (coincidentally both named John). Last week ATC featured another crucial musician, one Jeff Beal, composer of the eerie-yet-sophisticated House of Cards theme. 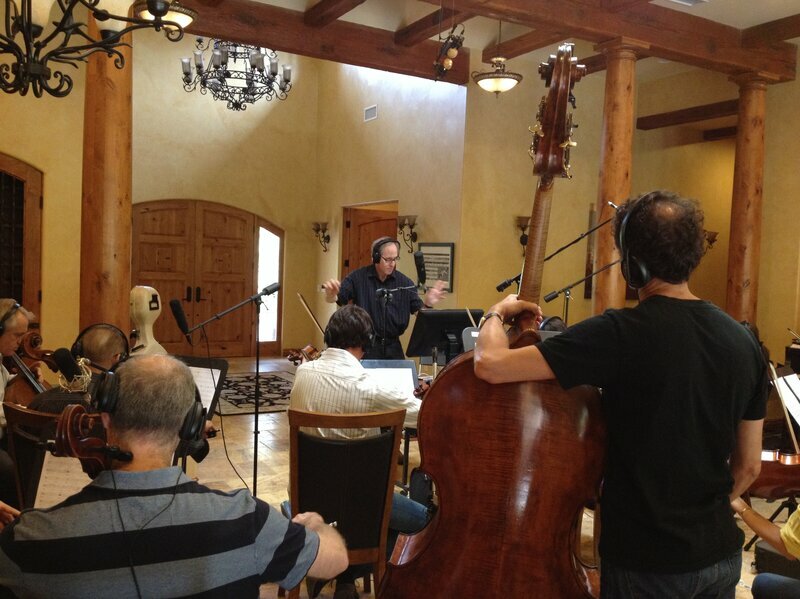 Beal, who has also composed music for shows such as Monk, The Newsroom, and Carnivale, as well as the heartbreaking SeaWorld documentary Blackfish, describes the “musical joke” of the main theme. The bass line plays an ostinato in A minor for the duration of the theme, but the melody often slips into A Major, causing fleeting dissonances that set the tone well for the sinister TV series. One cool fact about Beal is that he has taken the writing, arranging, and even recording process entirely into his own hands. He has no assistance with the writing and arranging of his scores, and records a 17-piece string ensemble in his living room. He also plays the trumpet, piano and guitar parts, and his talented musical family helps out as well: his wife Joan has recorded vocals for the score and their son Henry contributed the main bass line, recording from his dorm room. Another awesome revelation is that Beal has managed to take such a hands-on role, despite his diagnosis with multiple sclerosis. While this crippling nervous disease began to show symptoms eight years ago, Beal’s combination of “alternative treatments” and strongly focused brain activity (via his feverish composing and recording) have managed to reverse brain atrophy and keep the disease at bay. Jeff Beal is truly inspiring, as well as one of the coolest composers in the game (David Fincher hired him for House of Cards before even shooting it), and you should all check out this feature. The Baltimore Symphony Orchestra just compiled a very interesting batch of data based on the 2014-2015 season programming of 21 major national orchestras. The BSO (and by the BSO, probably some of their interns, but who knows?) aggregated the nation’s planned performances into the below infographic, which contains some very interesting (but, possibly, unsurprising) information about the performed material- age of pieces, gender/nationality of composers, popularity of certain composers, etc. Enough out of me, peruse this fascinating (and very visually appealing) infographic (more writing beneath it)! Like I said, this is a very interesting chart, but I’m not sure how surprising its revelations were. That said, it is quite staggering to see the actual numbers, such as 98% of all performed composers being male, and that the most performed living composer only gets 35 performances while the most performed composer overall gets 317. The nationality divide between most-performed composers overall vs. living is intriguing as well. All of these facts bring with them a litany of implications about the diversity (or lack thereof) in classical music performances, especially if you’re a fan of the genre, or if you want to become a professional classical musician. My favorite thing about this infographic is the fact that the BSO actually put it together. I think it’s great that a major orchestra like the BSO is beginning to take strides to reassess the standards of what they and their peers perform. According to the original article, they will be publishing several pieces in the coming weeks analyzing their finds further, which is sure to be even more interesting. In other news, a very happy birthday to Neil Young! Happy October! If you’re not buried in a punk documentary and are more the modern enviro-classical type, you’ll love our sweet new arrival! 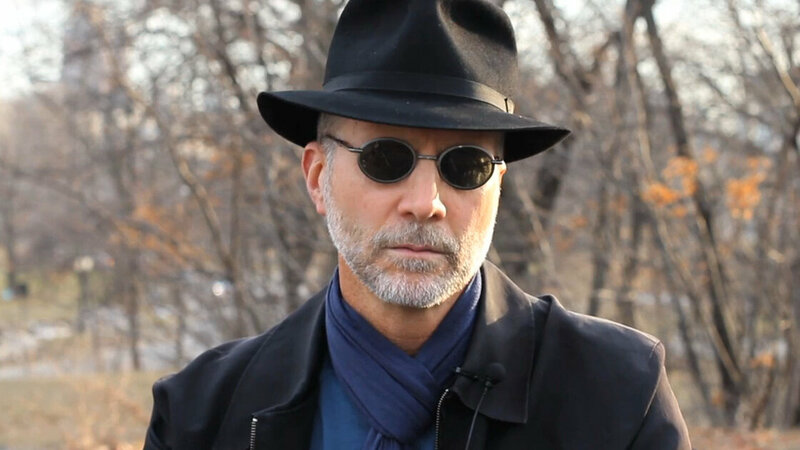 NPR recently did a “First Listen” feature on John Luther Adams, an Alaskan experimental composer whose previous works include a piece for 9 to 99 percussionists and a piece where the audience walks through the performing musicians. However, the focus of this feature was Adams’ new piece, a Pulitzer-winning work for three mini-orchestras called Become Ocean. Become Ocean, like its forebear La Mer (Debussy), is meant to evoke, well, the ocean. The NPR review describes it as “sweeping… briny surges of sound”. The journalist also waxes philosophical on the implications of an ocean-themed piece in a time where the ocean is in flux due to global climate change. Whether or not this is but an intellectualizing of the art or not, the piece is a beautiful one. And now you can play it, thanks to your friendly neighborhood Music Library! We just received the score this week. While you may not yourself be three mini-orchestras, you can still familiarize yourself with it, learn every part, show it to your conductor, whatnot. Here it is, get lost in the sea. This morning our music librarian, the great Nobue, forwarded me a very interesting article regarding the much-discussed future of music consumption: streaming. If you’re at all interested in the current music business, you know that streaming is taking over, and that many artists are quite unhappy about that. The main criticism is that the royalties that musicians gain from streaming are laughably low. Even with hundreds or thousands of streams on Spotify, Pandora, or other streaming services. Usually the objections come from the rock world, with musicians such as Radiohead’s Thom Yorke and Galaxie 500’s Damon Krukowski, as well as music writers like Nitsuh Abebe adding to an ongoing discussion on the large drawbacks of streaming for musicians. However, this problem extends to composers in many genres, including new age and fusion jazz, as per this article that Nobue sent me. Penned by composer Armen Chakmakian, formerly of the band Shadowfax, this article includes screen captures of all the royalties he received in the third quarter of 2013. As he describes, a five-figure amount of streams of his compositions netted him less than five dollars. HUH? He then speaks to the fact that he knows streaming companies are making money, but none of it goes to the artists. Because of this, he has quit the music business to compose for television. No matter what you may think of new age music or Shadowfax, it’s sad to know that the music industry is losing voices because we can’t figure out a way to keep artists paid. This ongoing problem is something that (as we can see here) has the potential to kill off a large amount of artists. While streaming services have indeed helped make music more accessible to the public, they might also be making sure that in the future there will be less music to share. Ahh, Coachella. An exotic and alluring word that conjures visions of epic, hedonistic musical retreats to the distant California desert. In high school in L.A., Coachella was what everybody looked forward to- papers and projects assigned for that April weekend never stood a chance. Now, Coachella is a distant memory for me, obscured by D.C. rain and expensive plane tickets. Also since high school, Coachella has truly entered its prime as a Big Deal in the music world. Its success has led to an entire culture of summer festival-going, and has caused it to expand to two separate weekends. The festival has gained more notoriety with each passing year, becoming more and more a symbol of the so-called Millenial culture and a larger sign of the times- where musical omnivorousness rubs shoulders with big money and thrill-seeking. Because of its cultural significance, Coachella is a source of as many editorials as music reviews. There are endless thought-pieces to be found online about the event, regarding not only the music performed but the social media use, fashion and behavior of festival-goers, as well as larger meditations on the changing face of the music industry and society’s treatment of music in general. Yesterday, Ben Ratliff of the New York Times shared his thoughts in a piece called “Artists and Spectators, Not So Far Apart“. Featuring nice slideshows of the three days of Coachella weekend 1, this article meditates on many ideas that the festival spawned: the shrinking difference between artists and performers, the death of the bro and rise of young women as the new arbiters of music culture, as well as actual reviews of many performances in the light of these revelations. It’s a very interesting piece and worth reading if you’re curious about the state of pop music today. Also includes shouts out to Arcade Fire and The Knife, both of whom with CDs in the music library! Check out the CDs and listen while reading for a new perspective. It’ll be sort of like mixing Dark Side of the Moon with the Wizard of Oz. Heard of “Like A Rolling Stone”? That Bob Dylan song, voted #1 best song of all time by Rolling Stone, that song on Highway 61 Revisited, voted #4 best album of all time by Rolling Stone? Even without this hype, however, from a magazine that may have taken its name from the song, you can recognize it as the “how does it feel” song, that song that can make you laugh and cry nearly (and possibly) at the same time, that song that sounds like it’s over your head but simultaneously means more to you than anything else you’ve ever heard. Well, now it has a music video. And what a video. Designed by digital production company Interlude Studios, this interactive video simulates a television set (complete with volume and channel selection). 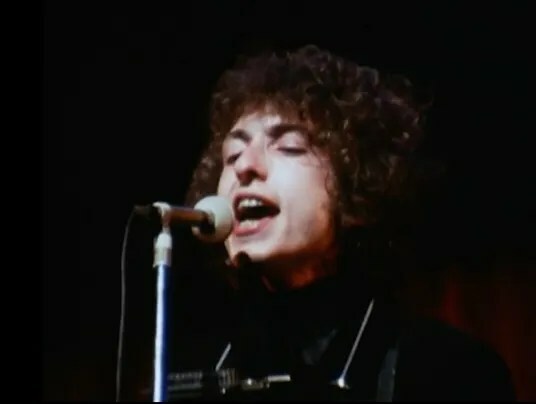 It is the viewer’s job to change the channel, through a variety of different channels: a news channel, a sports channel, several game shows/reality shows, a kids’ cartoon… The thing is that every channel contains a different program, but every program’s character is singing the words of “Like A Rolling Stone”! It’s like my dream TV. Pretty weird too. The TV also includes a “classic music videos” channel where you can watch vintage footage of Dylan performing the song, and a channel on which rapper Danny Brown sings the song while swinging and eating various items of food (including matzah, while laying on a sidewalk, pictured below). Quite surreal!